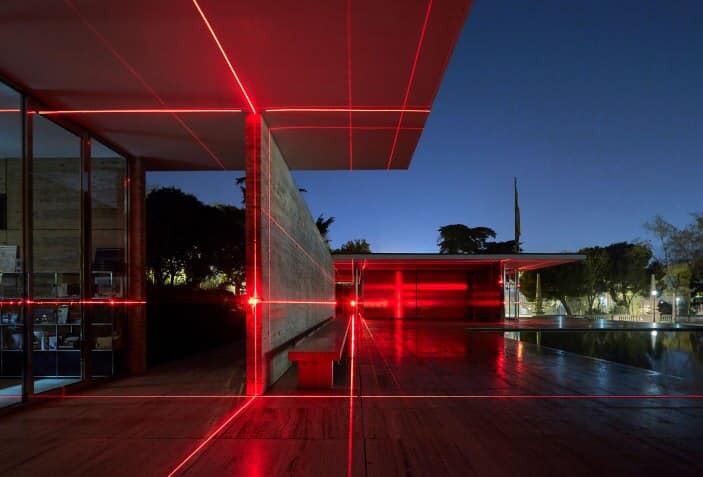 Geometry of Light is an intervention that generates a global experience envisioned as a contemporary lens for the Mies van der Rohe Pavilion, highlighting and expanding upon the architectural and material features of this structure. Focused on the gridded plan of the pavilion, a projected grid of light animates the travertine floor that extends beyond the steel-framed glass walls to accentuate the flowing space as it permeates through the interior and exterior. 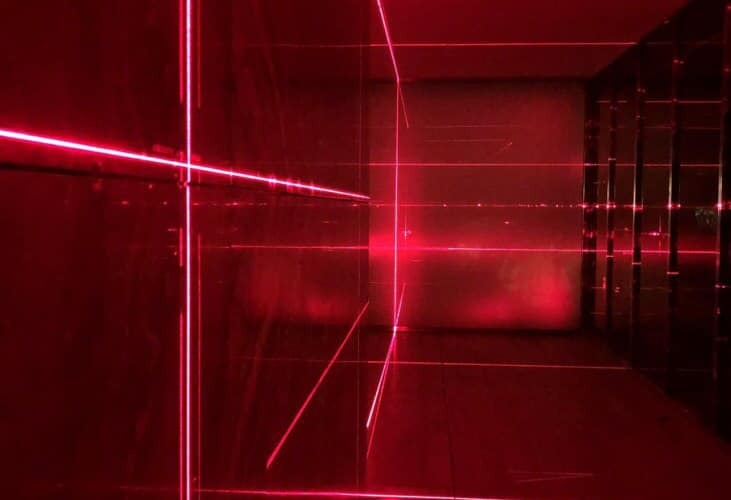 Using light and sound, Geometry of Light creates a new interpretive layer extending from the primary elements of architecture, including the gridded plan, vertical planes, and materiality. 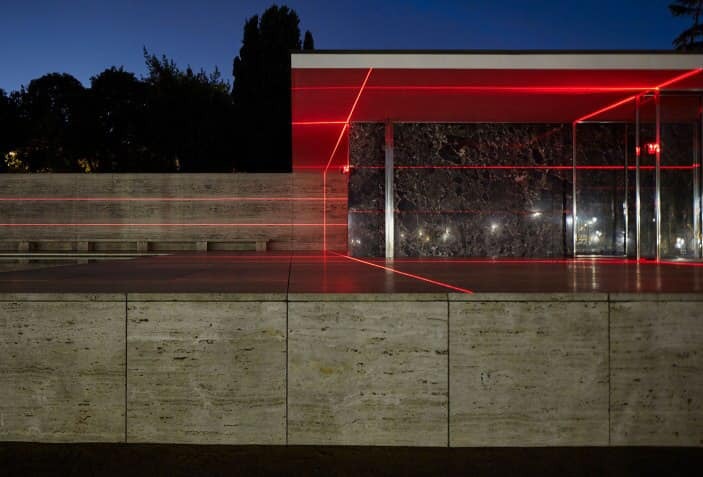 The way in which light is projected and the spatial situation of sounds enlivens and alters our perception of the essential elements of the Pavilion and its open plan and magnifies the illusion of its physical and material limits. Please note: Since it is made of light this intervention requires darkness, so is only visible after dusk.